BEDROOMS: Bedroom 1 with double king size bed, built in wardrobes and air-conditioning, electronic Safe and Hairdryer provided for your use. Bedroom 2 with twin beds, (can be double ) built in wardrobe and air-conditioning. Has three seater sofa but NOT a sofa bed. BATHROOM: Fully fitted Bathroom with basin, wc, bidet, and bath/shower. KITCHEN: fully fitted kitchen with fridge/freezer, electric oven with hob and microwave. Separate utility room with washing machine Iron and Ironing board and clothes airer. My name is William, born in Scotland I now live in Plymouth and I share these properties with my business partner Michael. Michael has lived in Mallorca for 20 years and I have been holidaying there for 15 years. I look after everything for you in the UK and Michael looks after everything in Mallorca. This arrangement helps to ensure that the majority of your needs are personally catered for at each locality. Michael and I have had these properties for over 10 years and we have built up a steady base of returning clients. We also try to develop the apartments each year adding something beneficial to your stay. We chose these properties because having holidayed there many times since 1995, I enjoy the peacefulness of Cala D’Or. Because Michael lives 5 minutes away from Marina D’Or II the convenience for you the holidaymaker is obvious as he will try to solve/fix any problem that may arise during your stay. Other than that, in Cala D’Or there is something for everyone and this was a real selling feature to us. It has two great beaches, bars, restaurants and a lovely picturesque Marina all within 5 minutes walking distance. It is an ideal family holiday as everywhere is so child friendly. We provide bathroom towels in the apartment and have a cot and highchair for young children to use if you wish. 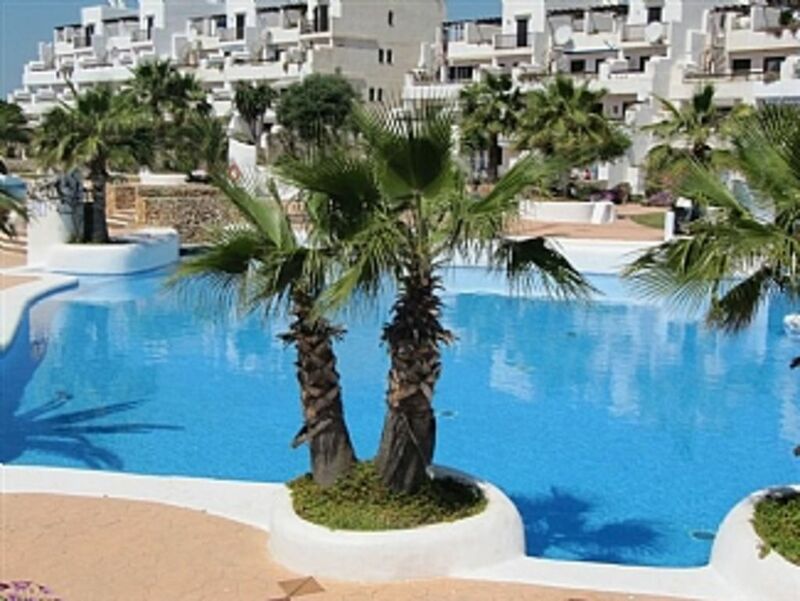 On the complex you have the choice of 8 communal pools and with 2 children's pools close to the apartment. We have satellite TV, DVD, CD player, Wifi and air-conditioning. Beaches, bars and restaurants are 5 mins walking distance. There is a wide variety of restaurants to choose from both in Cala Egos and Cala D'Or all with different menu choices, but if you decide to stay in and just relax in the apartment you can get take aways or even cook yourself as there is a very inexpensive supermarket just a few minutes’ walk from the complex. We have Valle D'Or our local 18 hole Golf course about 9km. away It is one of the best Golf Clubs on the island with an excellent Restaurant with breathtaking views. Notes on accommodation: Children welcome, Cots and 1 Highchairs can be provided free of charge on request - Sorry, pets not allowed. Units 1 and 2 are next door to each other. Unit 3 is about 75 metres away on the ground floor. Outside: Sun loungers and deck chairs are provided for use on the sun terraces and garden, where you can have those great Mediterranean breakfast-and/or keep up that lovely sun tan (The terraces and garden are South Facing so you are able to get the Sun from Sunrise to Sunset. . There are 9 split-level communal swimming pools set within the landscaped tropical gardens. A large car park is available for use. The apartments are situated on the ground floor and lead directly from the private garden to the communal split-level swimming pools and sunbathing areas so is perfectly safe for young children to play while you enjoy the spanish sunshine. They are 9 swimming pools in the complex and been a a private residential it is never crowded even on the high season so you have plenty of sunbathing space. ONLY one word AMAZING!! Everything you could ever need! We have stayed in this property many times and I am reluctant to give it a fantastic review because I want it all to myself when I need it! We had an amazing stay the apartment and complex has everything you could need to make your holiday complete we didn't want to leave. It was clean and fully functional and I wish I was back there in the wonderful garden soaking up the sun. We spent 10 fantastic nights at this great apartment. We were visiting with our 2 young children (4 yo and 18mnths) and it was absolutely ideal. We had everything supplied that we needed highchair, cot etc. The enclosed garden was perfect for young children. There were 3 pool all within 30 yards of the apartment, the baby pool was ideal for both our children. The surrounding area was great, plenty of beaches a beautiful marina and a short walk into the centre of Cala d'Or. A fantastic holiday had by all . Cala Dor means "Coves of Gold" and here you'll find several sandy beaches within the vicinity of Cala D'Or, "Cala Egos Beach" is within 5 minutes walk of the apartments. "Cala Mondrago beach" and "S'Amarador beach" is situated in the beautiful National Park and only 10 minutes drive from the apartments. The apartments are about 45 minutes drive from Palma Airport. Transport to and from the airport should be arranged by prior agreement and at additional cost. We can provide recommendations for taxi services but we do not make private travel arrangements for guests. A car is not essential, but if decide you require a car, car hire can be arranged for collection from the Airport. There is secure parking outside the apartments. Cala D'Or is a vibrant and delightful resort situated on the South East coast of Mallorca. It boasts 7 sandy beaches, warm blue sea and a Marina which is fast becoming one of the most cosmopolitan in Europe. The Marina itself is about 5 minutes walk from the apartments and is surrounded by a wide choice of bars, cafes and restaurants offering a wide range of cuisines to suit all tastes. There is a very attractive golf course about 10 minutes drive away at Val D'Or. Erosky supermaket is in Cala Egos 2 Minutes from the apartments and cater for all your self catering needs You also have a bigger Erosky Supermarket just outside Cala d'Or opposite the Petrol Station. But if you feel like a little drive go to "Mercadona" The equivalent to Sainsburys in Mallorca you'll find Campos town not far from the petrol station and Manacor has a Market on Monday mornings. Cala d'Or has a local market on a Saturday evening. Santanyi has a Market on Wednesday and Saturday morning till about 2 pm.